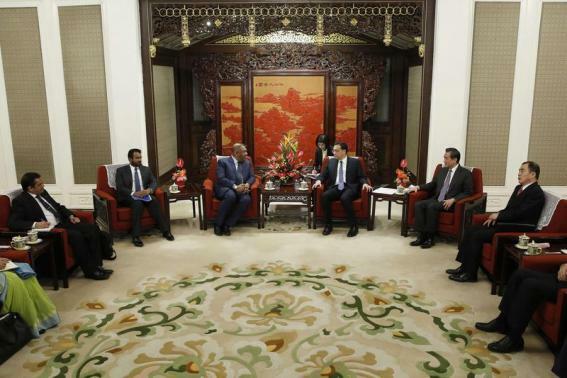 BEIJING (Reuters) – Sri Lanka will not make any decision on Chinese projects it is reviewing until it consults China, Sri Lanka’s foreign minister said on Friday, pledging that his new government would welcome Chinese investors. Sri Lankan President Maithripala Sirisena has unnerved China with his re-examination of certain projects that China has invested in, including a $1.5 billion “port city” project in Colombo. Last week, Sri Lanka said it would reconsider the outright transfer of a parcel of land to China under the port city deal signed by the previous government, amid concern it could be used for by the Chinese navy. Speaking in Beijing after meeting his Chinese counterpart, Sri Lanka Foreign Minister Mangala Samaraweera said he did not discuss the port issue directly, and the government was not only looking into Chinese projects. “Anything relating to Chinese investment will be shared and discussed with the government of China before we take any final decision,” Samaraweera told a news conference, citing what he told his Chinese counterpart. Sri Lanka will always welcome Chinese investment and it would now be an even safer place in which to invest, he said. “We are trying to ensure that there is a level playing field for all investors and a conducive environment for investment based on the restoration of the rule of law, democracy, good governance and transparency,” Samaraweera said. “All proposals in future will be considered totally on merit.” Samaraweera is in China to prepared for an expected visit by Sirisena next month. Chinese Foreign Minister Wang Yi said China remained a good partner of Sri Lanka. “China is willing to continue being a trustworthy and reliable development partner … and will also keep doing its best to provide assistance for Sri Lanka’s social and economic development,” Wang said. China has built a seaport and airport in the south of the country.